You can’t have missed the current obsession with protein balls – they’re everywhere. Even the ‘everything as long as it’s fried’ type eateries seem to be offering up a cursory plate of the little balls. Until recently they weren’t really something that piqued my interest – to be honest they looked a little … well dry and uninteresting. And while I’m a great believer in healthy eating, the promise of dietary nirvana being delivered in one little ball that looked (to be honest) like a roll of fudge just seemed a little too far fetched for my English cynicism. That is until a few months ago when I spent a delicious ‘child-free’ morning at the Palm Beach Farmers Markets (if you live in, or are visiting, the Gold Coast, these markets are well worth a visit! They’re not huge, but do offer up stall after stall of organic, locally grown, produce, deli items and treats – put them on your to do list.) There were a number of stalls offering protein balls (as I said – they’re everywhere) – but one stall caught my eye. 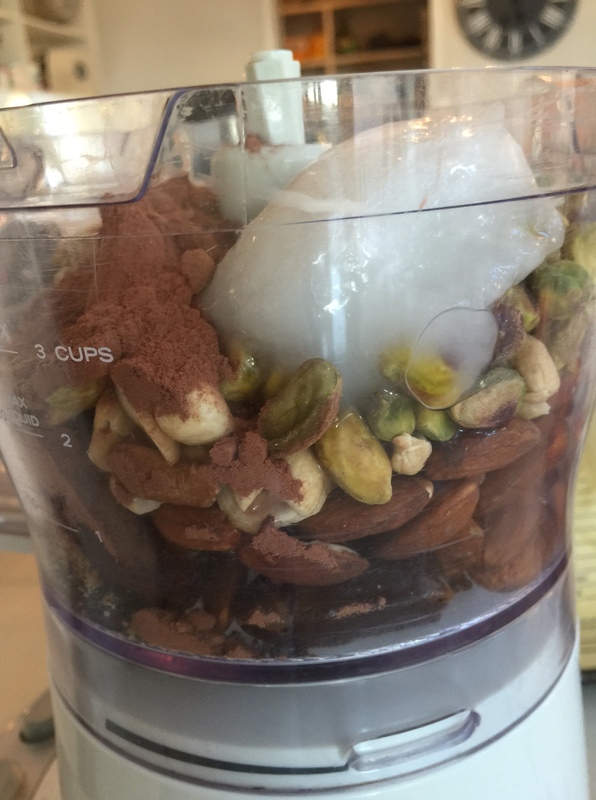 The kits had all of the ‘dry’ ingredients – all I had to do was mix with some coconut oil, and add a little flavour of my choice (I added vanilla and coconut). Long story short…from the first bite I was hooked! I loved them – but I’m a big believer in making things yourself from the raw ingredients. 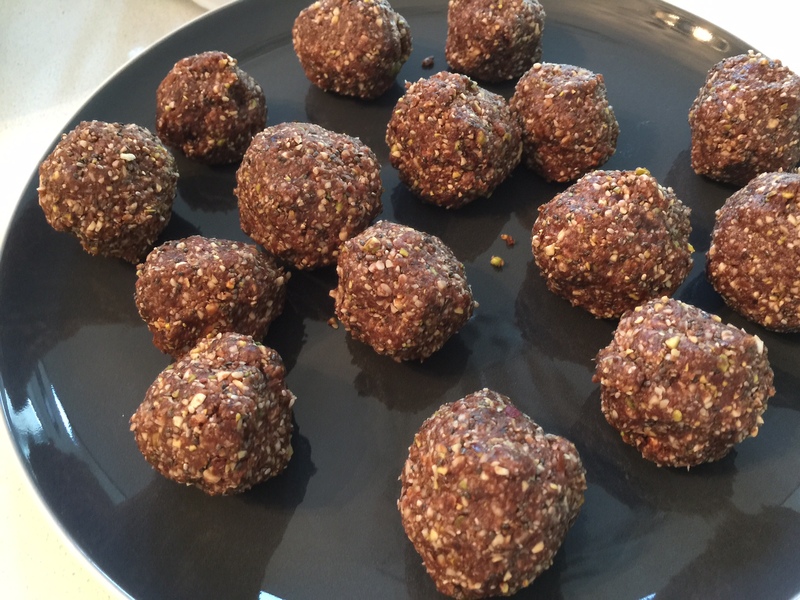 Through trial and error I’ve created my own recipe for protein balls that are DIVINE (my opinion of course) – even my own little Miss 6 can’t get enough of them. 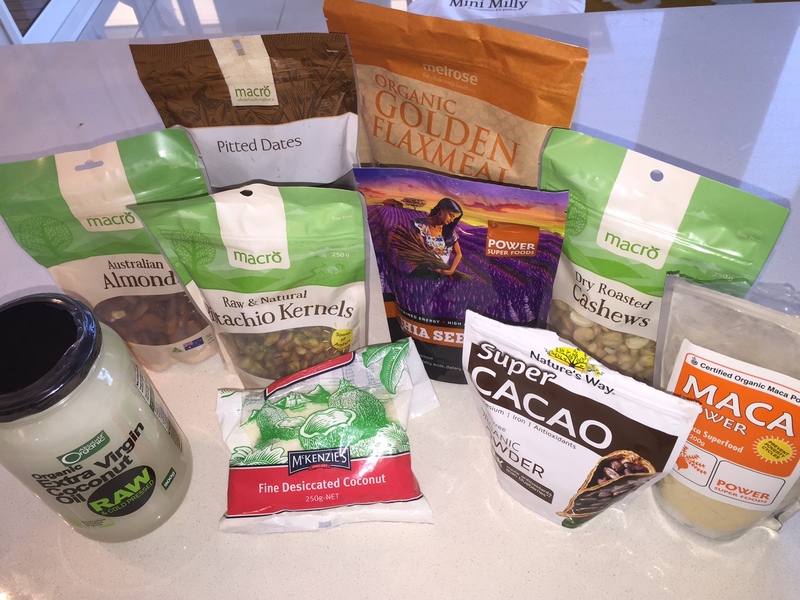 All the above can be substituted with pretty much anything – just make sure all nuts are raw. 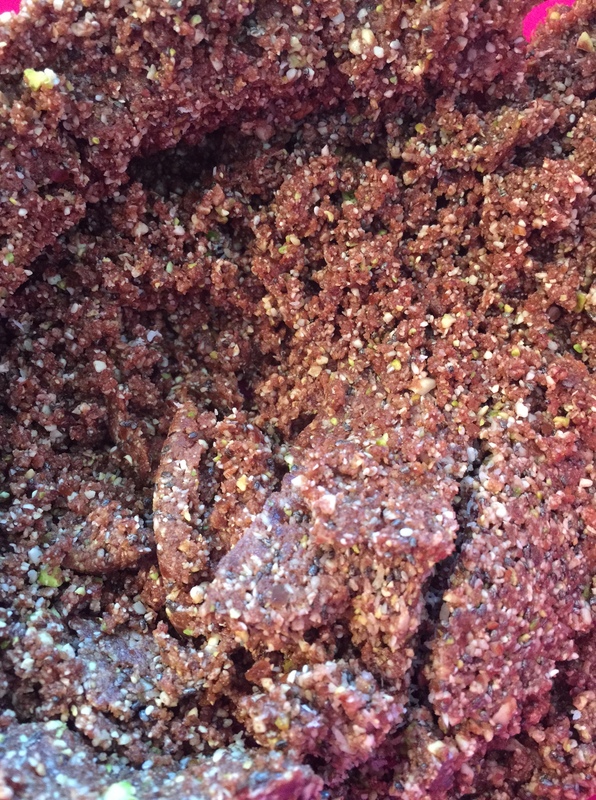 If the mixture isn’t sticking together to form balls, just add a few more dates and/or coconut oil. Once chilled I then put them in a Tupperware and they last (in the fridge) for a couple of weeks at a time. Perfect little snacks when you feel the need for a little pickup.